In the smart phone or computer world the word “Bricked” is used when all the possible doors for communicating with your device are closed and when there is no possibility to resurrect your device or smart phone using recovery, software or flashing tools. Some reasons for phone bricking are USB disconnection while updating firmware, while installing Unofficial or custom ROM, Tweaking OS, Rooting your smartphone, and Flashing your phone with Bad Kernels.Bricking can be classified into two categories Soft Bricked and Hard Bricked. Soft Brick is quite common and every android user should experience at least once in their life. When you press the power button if you can see anything on the screen like Startup boot loop, Directly booting to recovery, Frozen boot animation, backlight glow, or Directly boot to the Fastboot mode, then this is signs of Soft brick.The merit is it is easily fixable. Hard Brick is a condition where your device is completely dead and the only hope is to taking your device to a service center. The good thing is this condition is very unusual. 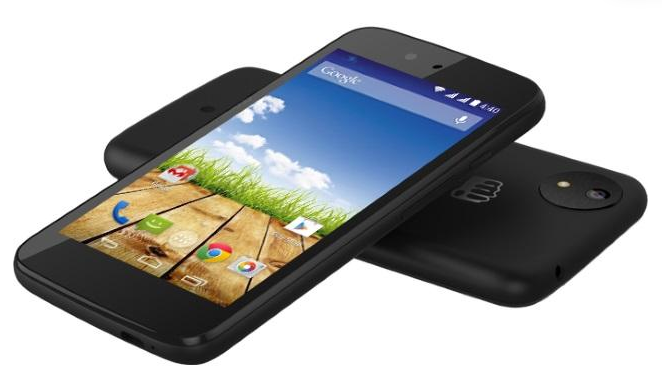 Micromax Canvas A1 AQ4501 is released under Google’s Android One program. Android one phones run with pure stock android and it will receive security and system updates directly from google for 2 years. Initially it comes with Android 4.4.4 (KitKat) OS , 1.3 GHz quad-core processor ,4.5-inch screen,1 GB RAM, 4 GB internal storage . And now you can update it to Android 6.0.1 Marshmallow. If your Micromax Canvas A1 Android One aq4501 SPROUT4 soft bricked, don’t be anxious there are more possible routes available to make your device alive and work again. To make your device work again first you need to flash your device. Files needed for flash your device. Download all files. 1.This Tutorial will only work with Android One 1st gen (Sprout4) [Micromax Canvas A1 AQ4501 SPROUT4 4GB internal storage]. Don’t try this on any other device or model. 2.Follow the steps correctly otherwise you may end up bricking your device permanently. 3.We are not responsible for any damage to your phone. 4.Flashing your device will erase all your internal memory data, so we advise you to take a complete backup of your phone and then proceed. 5.Ensure that your phone has at least 80% charged to prevent any accidental shutdown in-between the process. 1. Download all required files from above download links. 2. Make sure that no cables are connected to your device. 3. Remove your battery from your phone to ensure that your device is completely Shut Down. 4. Now Extract the download “Sp_Flash_Tool.zip” file and “Microm3ax-AQ4501.zip” file and keep it aside. 5. Open “flash_tool.exe” program file from extracted “Sp_Flash_Tool.zip” directory. This will open the SP Flash tool. 6. In the SP Splash tool, click the “Scatter-loading” button and choose the “MT6582_Android_scatter.txt” from your extracted “Microm3ax-AQ4501” folder. Note :This file contains the partition structure which act as memory map of your rom image file. 7. Now click the download button in the sp flash tool . This process will start searching for your mobile. Note: Do not insert your battery. 9. Your mobile will be automatically detected by Sp tool. Note: if not, press volume up or down button or else install the downloaded Mediatek Driver and try again. 10. Wait until the yellow bar reaches 100%. After the sucessful flashing of your device the GREEN CIRCLE will be displayed in your pc. That’s it. Just remove the cable and put your battery and start your device. After the flashing process , if you get any error or problem like No Network or IMEI missing:, Phone Keeps Rebooting, Phone Boots Straight Into Recovery the please follow below steps to solve. Note: Do not update your phone. 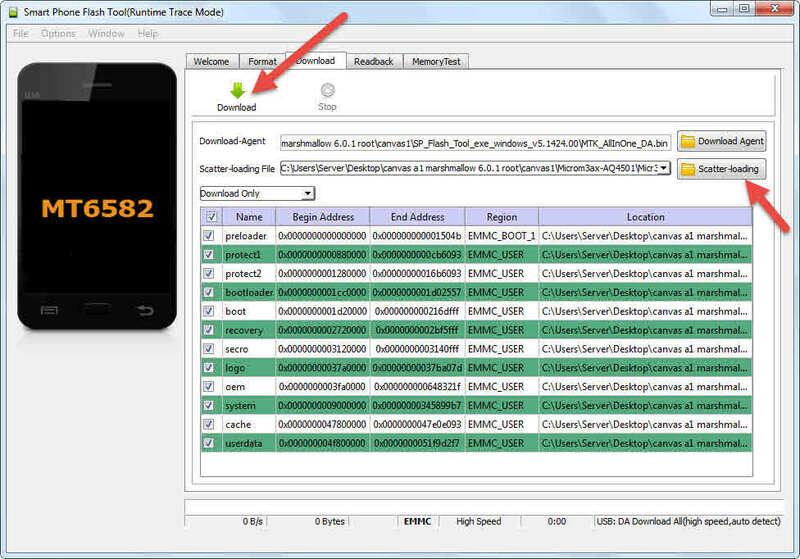 Enable the USB debugging in your phone. Open the chamelephon app and enter your IMEI number from your phone. And apply the changes. restart your phone. Thats it. If you are unable to connect the Internet from your device , then download the chamelephon apk from the below link. Once you have copied the apk into that directory , right click on the MAF32.exe file and select “Run as Administrator” . 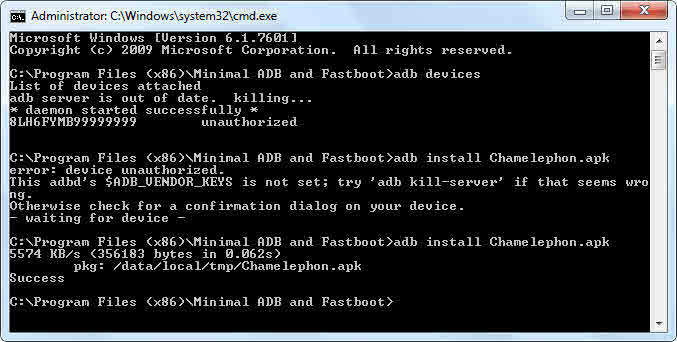 It will open open ADB Command Prompt . You can also open it via Minimal ADB and Fastboot desktop shortcut.Now, Connect your Android Phone using USB Cable to your computer. Type in the below command and hit the Enter Key. You will see your Android device listed with some random number. Now, type the below command to push the chamelephon Apk to your Android Phone. It will show the successful message after the push and install. Note: You can also use Compact ADB or any other ADB Versions. Note: Do make Sure you have the App’s apk in the same directory as that of adb.exe . 1. Charge your mobile for 10 minute and power on your device because low power may cause your device to reboot again and again. 2. If the first method fails just go to recovery (Volume up + Power key) choose “Wipe Dalvik Cache”. 2, And start all the steps once again. After unbricking can I again start flashing custom recovery and ROM? Can I use the same for Karbonn Sparkle V (It’s also an Android One Sprout4)?